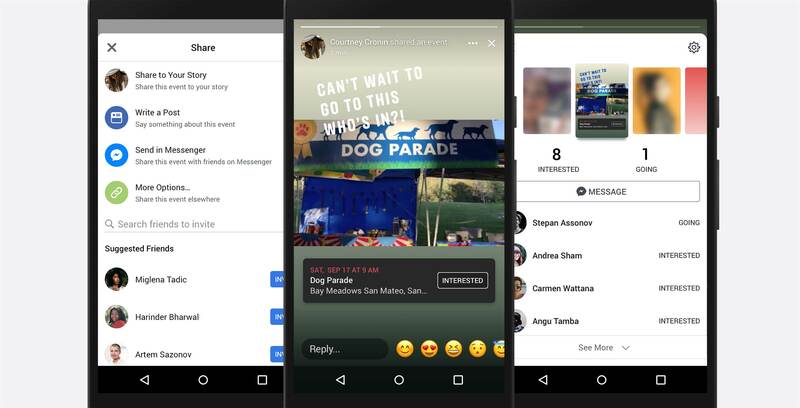 Facebook has announced a new feature that lets you share events through Stories. Now, when clicking ‘Share’ on an event, you’ll be able to select a new option called ‘Share to Your Story.’ This will add the event to your Story as a sticker that your friends can interact with. By clicking on the sticker, friends will be able to learn more about the event and mark themselves as ‘Interested’ or ‘Going’ accordingly. You’ll then be able to see which friends have responded to the event and create a group chat with them by tapping the circle icon beside their names. The new event sharing feature is now available on Facebook for the web, Android and iOS.